The furniture and undertaking establishment of E. E. Gladfelter, 222 W. Madison St., was founded in 1862 by Simon Zimmerman and has been in continuous operation ever since. Mr. Zimmerman, born on a farm near Highspire, Dauphin County, Pennsylvania, January 6, 1821, came to Ottawa in 1847. Having learned the carpenter's trade before migrating west he engaged in building operations for a while after reaching this city. Shortly afterward, however, he entered into partnership with Henry Coles and began the manufacture of furniture in the Rugg building near the canal. In 1862, he sold his interest in the factory to George H. Rugg and purchased Mechanics Hall, the site of the present Gladfelter store, in which he opened a retail furniture establishment. Previous to this, on February 6, 1861, Mr. Zimmerman was married to Olive Cooper, who was born near Schenectady, New York, August 7, 1831. Miss Cooper came to Ottawa along about 1855, and was a vest maker. At one time she was connected with the vest making department of Fiske & Beem; at another time she had charge of the machines and sewing room of A. Alschuler's tailoring establishment. In the conduct of his business, Mr. Zimmerman was eminently successful. He was careful, conservative, energetic and honest, and throughout his career, from the date of his marriage until his retirement, his wife, who, her household duties having been disposed of, spent all her time in her husband’s store, ably assisted him. Mr. Zimmerman continued in the active management of the business until 1889, when his son-in-law, E. E. Gladfelter, assumed charge. The business, however, was run in the name of S. Zimmerman until his death, which occurred in 1894. Mrs. Zimmerman, still living, made her home with Mr. and Mrs. Gladfelter. There were two daughters in the family, Jennie, who lived in Ottawa, and Anna (Mrs. Gladfelter). Elmer E. Gladfelter, proprietor of the funeral home, was born in Clinton county, Pennsylvania, November 24, 1861. He was educated in the public schools, and at the age of fifteen years - May of 1876 - he came to Illinois. 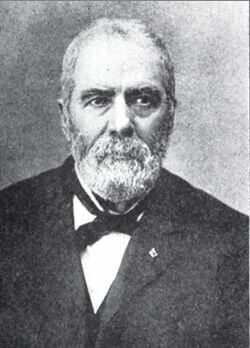 In 1886, he took up his residence in Ottawa, and in the fall of the same year he was united in marriage to Anna, second daughter of Simon and Olive (Cooper) Zimmerman. Later he entered Mr. Zimmerman's store and upon the death of the latter, became proprietor of the business. Under the ownership of Mr. Gladfelter, the business grew, and the store space has several times been enlarged. The establishment is one of the most noteworthy in Ottawa. Mr. Gladfelter carried a large and carefully selected stock of all kinds of furniture and house furnishings, and in discharging the delicate duties of funeral director, he acquired a reputation in every respect enviable. In addition to being one of Ottawa's most prominent businessmen, he ranked high as a citizen. He has served his ward in the city council, is a member of several branches of the Masonic fraternity, the Odd Fellows, Knights of Pythias, Elks and Eastern Star. Funeral service customs have undergone dramatic changes since 1862, when Simon Zimmerman purchased the old Mechanics Hall and founded the funeral establishment located at 218 W. Madison St. The business continued in the name of S. Zimmerman until his death in 1894, when his son-in-law Elmer E. Gladfelter assumed charge. In the spring of 1922 the business was incorporated, under the name of the Gladfelter Undertaking Company, with associate members: Elmer E. Gladfelter, president; Lester A. Maierhofer, vise-president and Harry A. Funk, secretary. After the death of Elmer Gladfelter in 1936, his widow Mrs. Anna M. Gladfelter sold her interest in the busingess to Harry A. Funk and Lester A. Maierhofer in June of 1939. 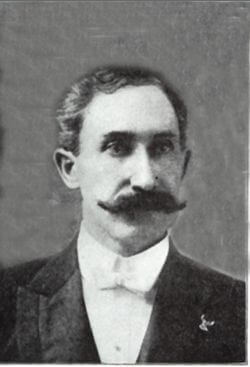 Harry A. Funk became sole owner of the business after the death of Lester Maierhofer in 1948. A trusted and devoted employee for 39 years, Warren E Gladfelter, nephew of Elmer, worked as a licensed funeral director and embalmer until his retirement due to illness in Nov. of 1968. He died less than a year later in Aug. of 1969, at the age of 75. His wife, Elizabeth A. Gladfelter, 107, one of Ottawa's oldest residents, died June, 29, 2004. In 1949, Raymond J. Stein joined the firm as a licensed funeral director and embalmer. Under the direction of his father-in-law Harry Funk and Warren Gladfelter, they continued to keep abrest of the many changes in funeral service customs. On June 4, 1970, fire destroyed the original building. Shortly thereafter, a completely new and modern chapel was built at the same convenient location in downtown Ottawa. 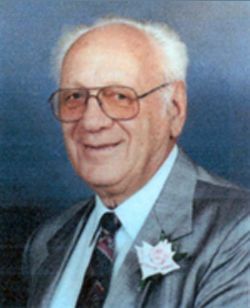 After the death of Harry A. Funk in Dec. of 1972, Raymond J. Stein managed the business for Harry Funk's two daughters, Lucille Funk and Harriet Stein. Miss Funk died July 7, 1989, and Mrs. Stein died Nov. 17, 1994. 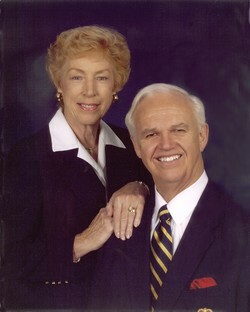 Raymond J. Stein - J.C. and Charlene SextonJ.C. and Charlene Sexton purchased Gladfelter Funeral Home from Raymond J. Stein on January 1, 1990. The Sextons had been in the funeral business in the Manteno-Kankakee area for a number of years. They continued to operate the funeral home at the Madison Street location until 1998. On January 18, 1998, an open house and dedication of a new ground level state of the art funeral home to serve the families of Ottawa and the surrounding areas became a reality. The Sextons continued to provide personalized and caring service until May 2008 when the funeral home was sold to John and Vicki Roetker, the current owners.